Facebook has tried just about everything to win back public trust in the midst of its many ongoing privacy and data scandals. And if there’s a silver lining to these controversies, it’s that Facebook has stepped up its game when it comes to protecting its users. The company instituted another major change to its settings this week to do just that by strengthening its two-factor authentication system and making it easier. The company improved the process by “streamlining” the setup flow, and removing your phone number as a necessary piece of information to provide when you sign up. 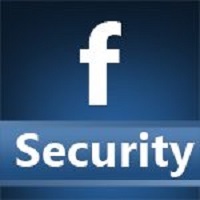 Now, users can sign up without it because of Facebook’s use of third-party authentication apps. While Facebook’s use of more third parties might raise eyebrows, two-factor authentication really is a superior way for users to protect themselves. There are always going to be data trade-offs when you use Facebook. But at least now you won’t have to cough up your phone number just to safeguard your privacy. Not that Facebook doesn’t already know it, of course.